Hello! 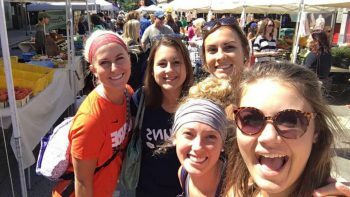 My name is Abby Duran, and I am a senior social work student at Hope College. This semester I am completing a full-time internship at The Children’s Place Association, in their Early Learning Center. The Children’s Place is a social services agency on the west side of Chicago. They focus on serving children and families affected by HIV and chronic illness. They offer foster care programs, medical facilities, and early childhood education. 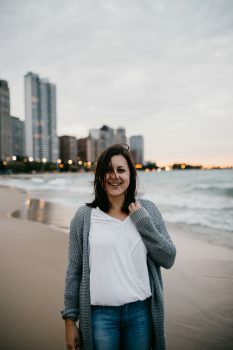 My role at the Early Learning Center mainly consists of working with parents to set goals and connect to resources, and facilitating groups for children in the program. I have a small caseload I meet and follow up with throughout the semester. I also help refer children to programs for speech, physical, or occupational therapy. So far, I have loved the chance to get to know the children enrolled here, their parents, and the ELC staff. The teachers here are incredibly dedicated to consistency and love in the lives of their children, and the Family Support Specialist I work with is very passionate about linking families to housing, jobs, and mental health resources. I’m already halfway through the semester and can honestly say that I have learned a ton about urban social work. The transition from a college daily “rhythm” to a full-time work schedule certainly has had its challenges and adjustments. The early wake-ups so far have been rough, but the fact that I get this work experience while also in the middle of the city is a huge perk. I grew up in the northwest suburbs and spent a fair amount of time in Chicago for most of my life. While I loved going to Hope, it is so nice to be getting work experience and building professional connections closer to home. I’ve always identified as a Chicagoan and have been proud to claim my hometown. Living and working downtown makes it feel even more like my place. I am discovering just how much the city has to offer and the universal appeal it seems to have for people my age! There is never a dull moment. So far, my friends and I have hit a Cubs game, hung out at the beach, run along the Lakeshore Trail, watched movies in Millennium Park, walked through some killer craft fairs, and enjoyed the farmers market right outside our apartment building. I love having the chance to play tourist and discover parts of the city I never knew about. Participating in Chicago Semester, particularly in the social work track, was one of the better decisions I made in college. I feel more competent as an independent professional and more prepared for post-graduate life than I thought I could.